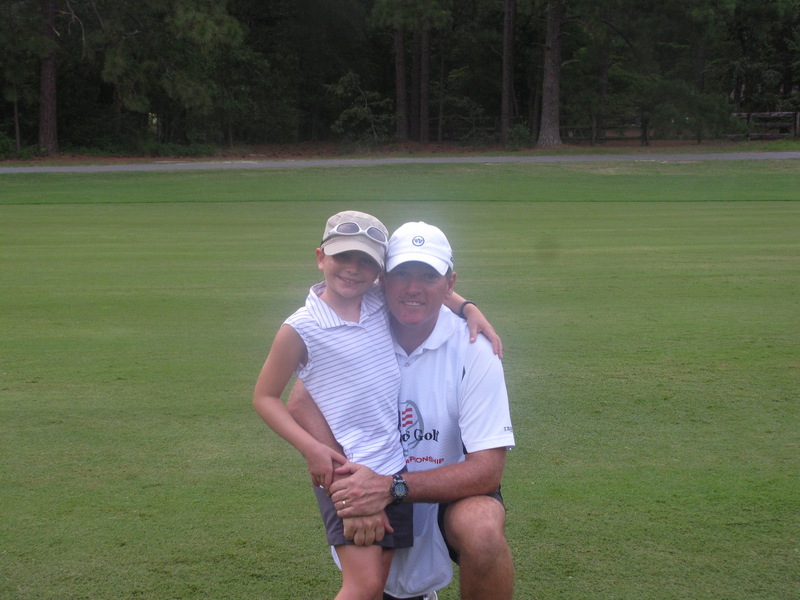 So… my daughter and I love golf, or at least I think we do…. I know I love the game , and I think she does too…. But that’s the problem with having a junior golfer. Do they they love the game or just love pleasing you? It’s a hard call sometimes, but when they are willing (and excited) to go out in 40 degree weather, there must be some love of the game! Sadie picked up a club when she was 3 1/2 and looked like she owned it(dad salivating). Since then it’s been an up an down ride. She loves the game and the accolades of winning, but doesn’t necessarily love the bad shots that sometimes go with it. Kids love the here And now so it’s all about instant gratification so make every practice a game. Sink 10 putts get 5$, sink 20 get a night on the town with parents. But make it fun. Soccer, basketball all have instant reward where as golf rewards come at different times but ALL kids love positive feedback so make it worth it!! However, as we have found with Sadie, it needs to be competitive… So if you have to play the 10 year old boys for competition DO IT! it just makes them stronger!! Life isn’t about winning it’s about trying your hardest …so a little push and a little competition goes a long way! I can assure you, there is no right or wrong way to coach a junior golfer, but as long as you keep it fun and rewarding they will love it ( if they like the game ) And it will bring you years of enjoyment !! !